Today, for those of you who may not have heard (and, if not, where have you been? 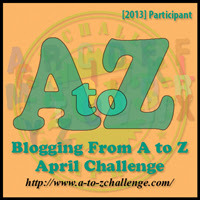 ), is the start of the A to Z Blogging Challenge. The 'challenge', as it were, is to post an entry a day, each day in the month of April. The only exception is Sunday, giving us twenty six posts. Each post corresponds to a letter of the alphabet. Today is "A"...tomorrow, "B", etc., etc. The list of bloggers participating is pretty impressive....over 400, according to the sign-up list. A lot of these bloggers are going with themes to make it a bit easier to bring it all together, which I thought was a great idea. My theme is going to be 'Obscure Superheroes'. Some of these men and women you may have heard of, but I'm pretty confident in saying that I'll have a few that you haven't. 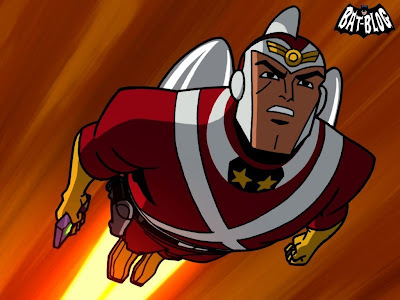 To kick things off, A is for Adam Strange. Adam was a D.C. comics character created in the late 50s by Gardner Fox. Fox was asked to come up with a 'science fiction' hero and came up with his answer to Flash Gordon. Strange was an archaeologist who was zapped by the 'Zeta Beam' from a planet called Rann (a la Jon Carter). Stuck on a strange world, Adam found friends with some of the natives and fell in love (ah, good, ole, space opera). When the effects of the beam wore off, Adam was zapped back to Earth. Strange had all sorts of adventures on Rann as well as becoming and adventurer on Earth and mingling with the likes of Superman and Batman. Strange had no powers, per se, just advanced technology (jet pack, laser pistol), skill in hand to hand combat (as any self respecting archaeologist would), and a heroic spirit. The character remains active to this day, as far as I know. Just because it's the A to Z Challenge doesn't mean I still can't throw in a quick Music Monday selection. A little something to get your feet tapping... Twisting By the Pool, by Dire Straits. "...skill in hand to hand combat (as any self respecting archaeologist would)" <--- Love that. Adam Strange is new to me, but I LOVE your theme. He "mingled" with Batman and Superman. I imagine it was at cocktail parties... you know where all superheroes hang out. That, or crime scenes. Whatevs. I have never heard of Adam Strange and I'm pretty old. LOL! I just want to know--did Adam have to leave the love of his life when he was zapped back to Earth? By the way, I'm loving your theme! I had heard of Strange, but couldn't tell you anything about him. @Mel: If you're not a comic book reader then, yeah ,you might have missed him. Actually, Strange married a girl from Rann and, yes, he did leave when the beam ran it's course. Quite a few of his stories revolved around him missing his wife, etc. I've never heard of Adam Strange but thanks for the interesting post. Nice, I have to admit I wasn't much of a comic geek (I'm still a geek however as you can tell from my own A-Z this year lol) but I look forward to reading more of your obscure superheroes here. This guy sounds like a Batman type character though, no special powers. Nice Monday Music aswell, I cut my teeth on Dire Straits =) - Blog now followed. Oddly, his name rings a bell. I think there was a cartoon with his name when I was a kid. 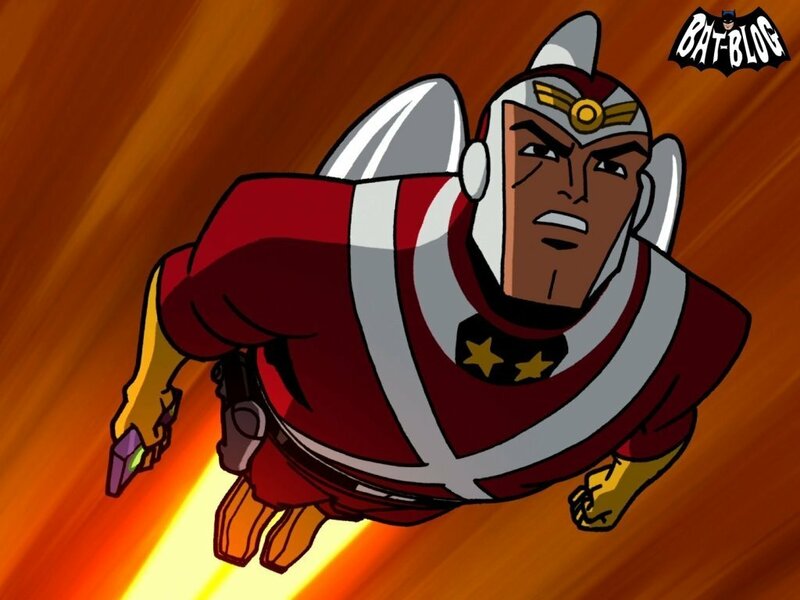 Not sure if it was about this Adam Strange, though. Think I heard the name somewhere. But I think this great, some superheroes never get enough credit. Welcome to the A-Z Challenge poster(er?) family. Wow, who knew there were enough obscure superheros to do a whole month of this. I'm ready to be educated. Big DC fan here - I remember reading Adam Strange comics! I had not heard of Adam Strange! Great subject - this is going to be an education! Interesting theme - I look forward to hearing about more obscure superheros. Any self-respected archaeologist is an expert in hand to hand combat? HAHAHAHAHAHA. My first laughter of the day. That was good! (2) Dude- I'm loving your A-Z theme! @Mary: Yep, he's an obscure one, alright :) Love your avatar, too...Forever Knight was an awesome show! @Misha: Hmm...I'm not sure. I'd have to look that up...but, if so, I had never heard of it! @Sheena: Thank you and, you're right, some heroes never get the press they deserve! @S.P: There's probably enough for a whole year! Hello, Mark! I love superheroes! I was always a big fan of the X-Men. I'm not so familiar with Adam Strange. Cool theme this month! Nice post and great video...love me some Dire Straits! Good luck with the challenge! I participated last year and had a blast! Could you imagine if he had today's technology at his fingertips...(oh, maybe he does)........quite a super hero indeed, methinks! Sometimes super powers aren't needed to be a superhero. I can tell I'm going to like this theme. I remember hearing the name, Strange, but I didn't know anything about him. Loved the vid..... shades of old Ester Williams movies. I couldn''t keep my feet still when I heard that toe tapp'n music. What a fun theme. I can definitely say I've never heard of Adam Strange. I feel kind of bad for him and the rest of the obscure gang! I always return to blogs that post and love music or comics but music AND comics. Brilliant! Great theme by the way. That certainly is an obscure superhero! Even more obscure than me. This will be an interesting theme for me. I go back a ways (a.k.a. - I'm old)and I was quite the comic book fan back in the day. Don't remember Adam though. This is a great theme! I've only really heard of the big boys (and girls). Ready to be educated. @Nick: Thanks! I hope you enjoy the rest. Brave and the Bold was such a fun show. You reminded me how much I missed their campy Adam Strange. Oh AWESOME! I shall forward this to my comic book loving son!!! I cannot wait to see if he knows Adam Strange...but I bet he does! Mark, thanks so much for your comment on my blog today. Meant a lot to me. This is a superhero I haven't heard of. cool! Sounds like he was the superhero of nerds - technology, gettin' it on with the girls! Never heard of that one. Great post. A superhero I've never heard of! I think I'm going to learn a lot here from you this month. :) Great start to the Challenge! I might consider having a heroic spirit as a "power." When life challenges us, a positive attitude can come in quite handy. I love, love comic books and superheroes! but I wasn't familiar with Adam Strange. @John: Oh,I know. I didn't like it when I first watched, but it really grew on me and, to this day, is one of my favorites. It was smart, well done, and cancelled way too soon. @Jean: Thanks! If he's read any D.C. Comics then he may have heard of him...Strange has been around for a good while :) Agreed on Dire Straits...great band! @Nancy: LOL...funniest comment, so far :D You and my dad would be good company...he barely knows the 'well known' ones either. @mshatch: Thanks and I hope you enjoy! @michelle: Totally agree...absolutely nothing beats music from the 80s! Adam Strange is an excellent A to start with. Love it! Adam Strange sounds like a fun character! 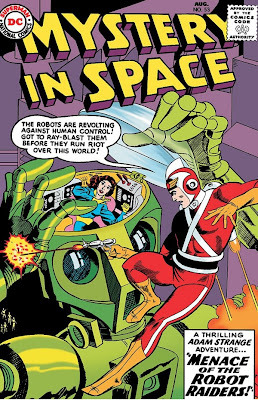 I've also never heard of Adam Strange, but I enjoyed learning about him. It had to be the heroic spirit that tipped the scales in his favor, right? Love your theme. @Golden Eagle: Thank you and I hope you enjoy! @C. Lee: Yep, that was it, I'm sure :D Thank you! This is going to be an interesting theme! Adam Strange, I do recall some little detail from the past of him. Great theme! Thanks to my sons, I've heard of many obscure (to me) superheroes, but I bet you know even more. Looking forward to the rest of the challenge. I think my 7-year old will enjoy all your heros! An archeologist with combat skills - very cool! 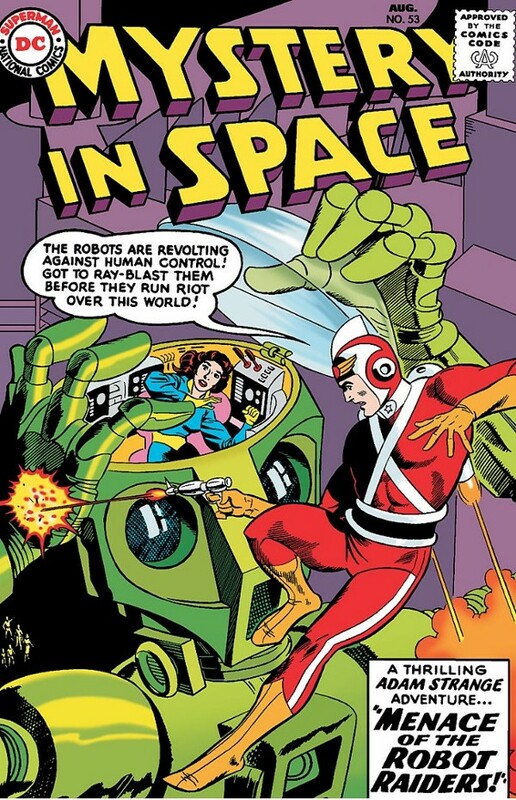 I had never heard of Adam Strange before, but he sounds like an awesome character! What a cool theme! I've never been a big follower of comic books, but I'm looking forward to this! @Amanda: Thank you and I hope you enjoy! @Celeste: I don't have much hair to lose, anymore, so I'm safe :D I hope you get the chance to stop by and let me know what you think of my choices! I love Dire Straits, big time!! Adam Strange's story sounds a tad similar to my A-Z serial story. I had no idea. Cool. Great theme for the challenge, too! I love your theme! Strange sounds like a pretty neat guy to have around. Great idea for a theme. @Trisha: An awesome band, for sure and thank you! @Shell: Oh very cool. I'll bet your story is just as cool!